A great looking design that looks fantastic on the new 124 Spider. These custom wheels help bring out the style and sophistication of your FIAT 124 Spider while maintaining the highest performance standard. These wheels come in a unique, custom Gunmetal Finish with a custom Machine Face. This unique combination allows you to fit this wheel on just about every color of the FIAT 124 Spider. 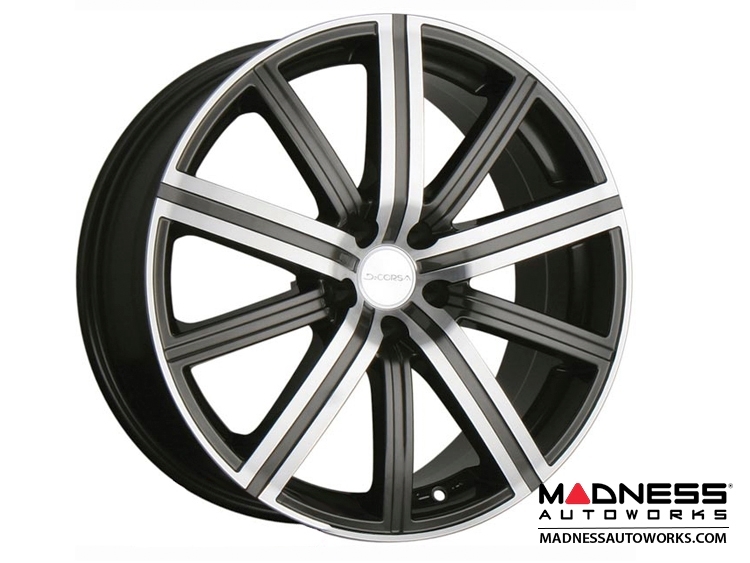 Wheel Size: 17 x 7.5"
When you make a decision to upgrade your factory wheels with a set of custom wheels make sure you know what you are buying. We have personally tested these wheels on our own 124 Spider and have verified proper fitment. These wheels not only look fantastic on the new FIAT 124 Spider, they are also high quality and carry full TUV Approval. When upgrading your wheels make sure you look for TUV Approval to verify that the wheels you are installing have passed proper stress and safety tests.